MOMMY MOM!!! I hope you had a good week! It sounds like it was! I am SOOO proud of Preston!!!!!! Grandma is looking great! AND I LOVE SEEING MY MOMMY MOM! I'm glad you liked your little gifts! Cherish them! Even though they are little things and didn't cost me anything. Because I had to think long and hard about what to give you! The Prince of Peace card is from the Easter initiative and I was in love with it because it went PERFECTLY with my favorite scripture!! Thank you for the talk! I will print that one out! Ohhhhhh my goodness. Where do I start!!?!? This week was CRAAAAZY!!! Haha haha so much happened! I'll just cover the main highlights....and there are a lot! First off.... we are walking almost EVERYWHERE because we have to be suuuuper conservative on our driving miles for the rest of the month. This is going to be interesting!!! Tuesday: We finished most on the Restoration lesson with M and her daughter L. At the beginning of our visit they mention that they as a family decided to get baptized at HDC (High Desert Church...they get everyone we want to teach! Apparently, their meetings are very appealing) Sister Clarke and I were trying not to panic!!! But of course, we went on with the lesson and the Spirit was very present and they could feel it! They want to continue with the lessons THANKFULLY!! We will continue to pray very hard for them! Wednesday: We went down to Rancho for my dr. appointment so that they can prescribe me anxiety medication. First off, Dr. Fakori is incredible!! I have never had a Dr. treat me so kindly. He treats his patients how I imagine Christ would. WOW! So, they prescribed me medication and I have a follow up appt. in a week and a half. He may want to put me on ADHD meds as well. I trust whatever he thinks will get me through my mission. Something that he told me that gave me a lot of comfort was he will help me in any way he can to make my mission the best it can be. He was SOOO kind!! Thursday: I had to get blood work done (which isn't in our area) and of course I was NOT happy about it!! We got permission to get some ice cream after and I was very thankful because it was much needed!!! Then we had to get my prescription (again, not in our area). They needed my insurance card of course and as I was fishing through my bag I had realized that my insurance card wasn't there! We prayed and I got the impression to call the Doctor's office in Rancho Cucamonga. We call and the lady at the computer accidentally didn't give it back to me!! It wasn't just her fault it was my fault as well...hahaha! So, she emailed me a copy of my card. So, then we had to drive over to the library to print it off (ALSO, not in our area!) as we were leaving the library we noticed that our tire was completely flat.... AHHH!! The zone leaders had to drive a ways to come fix it! The spare tire was put in and guess what.... the spare was partially flat! We had to go further out of our area to put air in it. After the car was taken care of we went back to get my prescription and low and behold.... they don't take our insurance. So that is why I had to spend $25 at Walgreen's! Every time we need to leave the area we have to get permission from our District Leader. Hahaha, he was like "What is going on??" It was crazy!!!!! **HIGHLIGHT ON PRES. INTERVIEWS** I had a few things I was going to talk to him about. Homesickness, anxiety, and forgiveness. President Taylor is soooo inspired!!! And of course, he has to be! He helped me in every way he could have. I wanted to ask him about forgiveness because I was scheduled to have exchanges with Sister Tate on Saturday. I wasn't sure how I was going to handle it for the reason being that Sister Tate and I really didn't get along well. This is small bit of what President's counsel was "Sister, because you have such a deep love for the scriptures (we were talking about how much we love the scriptures) you must know from them that the unwillingness to forgive, in a way, is denying Christ." WHOA!!! I was not expecting that! "Tonight, I suggest you get down on your knees and make a promise to yourself and our Savior that you will let Him do for you what He is meant to do, and let go of any hard feelings. You can't hold on to even a small portion of it because it will still be there. You either let go of it all, or don't let go at all. He will lovingly take it from you if you let Him." That night I did what he asked. Saturday: BEST EXCHANGE EVER!!!!!!!!!!!!!!! Oh, my goodness I learned that forgiveness is only hard if you make it hard. 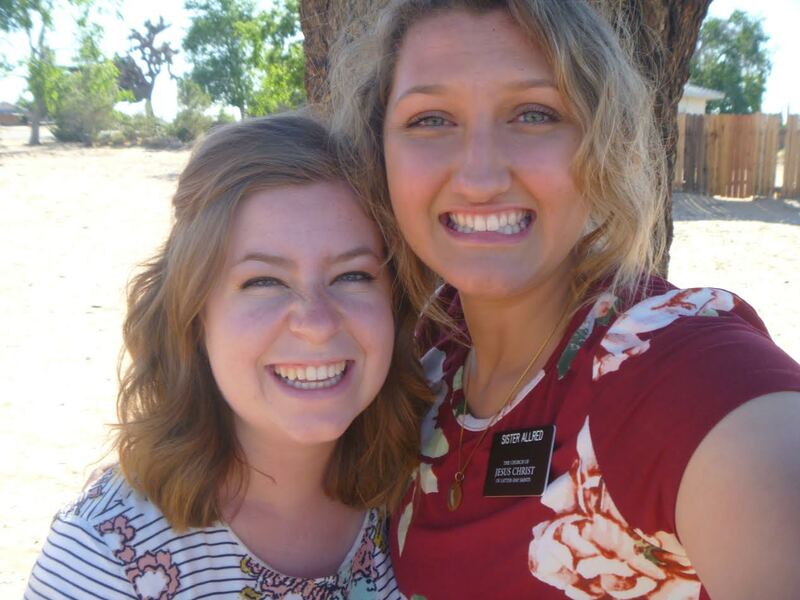 With Christ's help, forgiving Sister Tate was very easy. We had a blast on exchanges!!! I have so much love and respect for her. She is an incredible missionary, she loves her calling and I am so grateful she still loves me. I admire her patience and testimony!!! That night after we got home, it was about 9:00 pm, which when we are supposed to be in the apartment unless we are teaching a lesson, then it is 9:30. I felt that we needed to give Anita (Mamanita) a call. She answered the phone and she didn’t' sound okay. Knowing her crazy life, we got very nervous for her. She was crying hysterically. Sister Clarke and I both looked at each other and without a word we knew we had the same strong prompting to go to her house immediately. We couldn't understand mostly what she was saying as she explained what was wrong because she was crying so hard. However, we did understand that she was thinking about ending her life. We let her cry. We held her hand, and did all we could to comfort her and express the love that Heavenly Father and Jesus Christ had for her. Sister Clarke pulled her scriptures out and read John 15:13 and then we sang "I Know That My Redeemer Lives" to her. The spirit was so sweet. I can't express the love that filled her home. It's truly remarkable what the Spirit can do for us to feel our Savior's love. Mama is safe and okay. I will never forget that night. She NEEDED us and with the help of the Spirit, she is still with us. Sunday: We helped TWO less active couples make it to church!!! And it was because we had to learn how to show Christlike love for them. We couldn't have done it without the help of the Spirit! It has been very difficult to lead them to come back to church and they made it! We were so giddy! WOW we couldn't hold back our smiles all day! Both couples really enjoyed their time! One member told us that we witnessed a miracle seeing those couples in the congregation. It was so amazing! The talks that were given were perfect for all 4 of them. Oh, I almost forgot! As we were walking to church, we noticed a man standing kind of near the church building. He was in a suit and he was smoking. I thought to myself he was probably going to the Baptist church across the street. Yes, I am ashamed to say I judged him. I thought there was no way he would be attending our sacrament meeting. Hold up! He attends our sacrament meeting!!! He was one of our member's grandsons. During one of the talks, the speaker emphasized on the importance of member missionary work and talked about how important it is to use the Book of Mormon in missionary work. After all it IS the keystone of our religion! I had received a very clear prompting that that man needed to be given a Book of Mormon. I pulled one out Book of Mormon from my bag, let Sister Clarke know that the spirit told me to give it to him, and so we started highlighting scriptures! Haha we were so excited! After the closing prayer, we bolted over to him but he left before we got to him! I asked Sister Bell (his grandma) where he went. She said he would be right back. We asked her if he was a member, she said he wasn't, and we proceeded to tell her that we wanted to give him a Book of Mormon. She hesitated and then he walks back in. Sister Clarke and I immediately went over to him and began testifying of the Book of Mormon. He accepted it with ease. Sister Bell looked so surprised!! I'M SO THANKFUL WE ACTED ON THAT PROMTING! We hope and pray that his life may change because of it!!! We went street contacting later that night and we found potential investigators. He and his family are willing to learn! We have an appointment with them next week!!! OKAY THAT WRAPS UP MY EMAIL!!! Holy smokes this week was absolutely wild!!! I love this work and the restored gospel. I owe my life to our Savior and Redeemer. I love Him so much. And I love my Father in Heaven. He has blessed me in countless ways. I love the plan He has for His children. It is perfect. P.S. Set your expectations low when it comes to my emails after this one. HAHAHAH I probably couldn't give a jam-packed email like this one again if I tried! 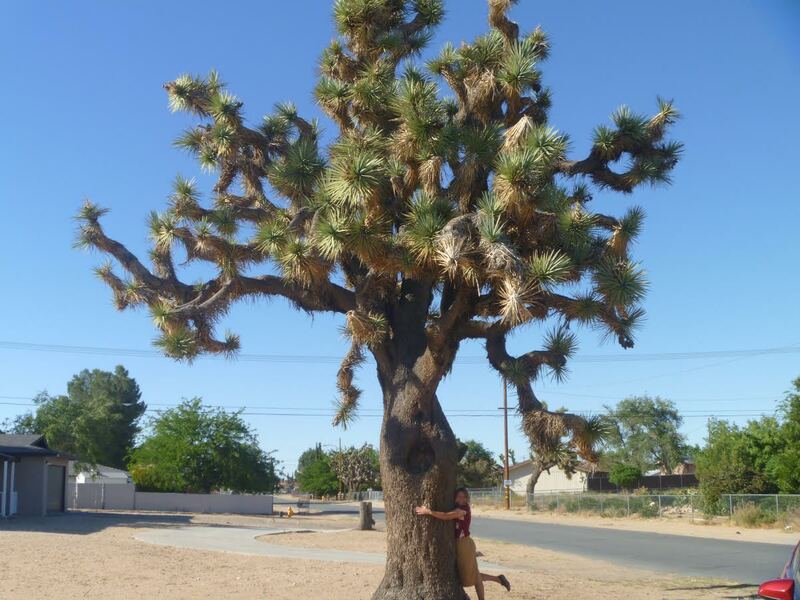 Just to show you how big Joshua Trees actually get!!! Preston went to Pine Valley with his friends. Connor took some pictures of Preston!